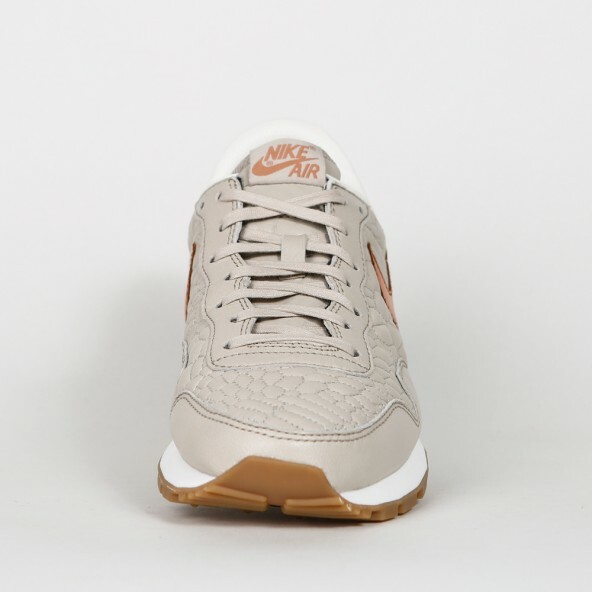 The lady's sneaker Air Pegasus has a grey/beige leather upper with a quilted swatch. 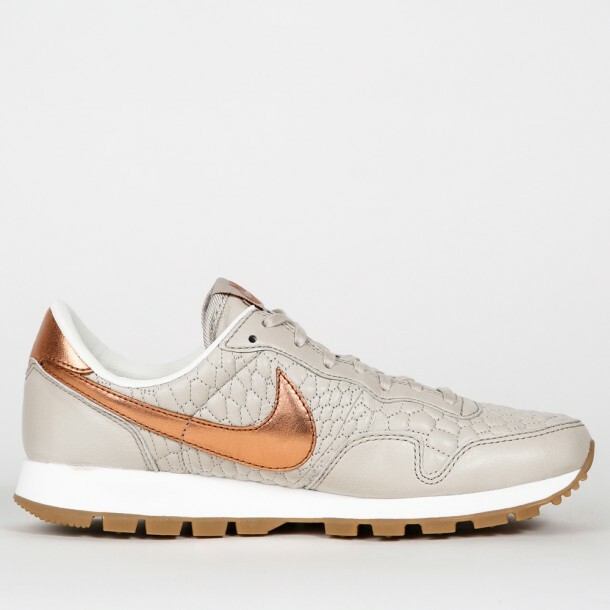 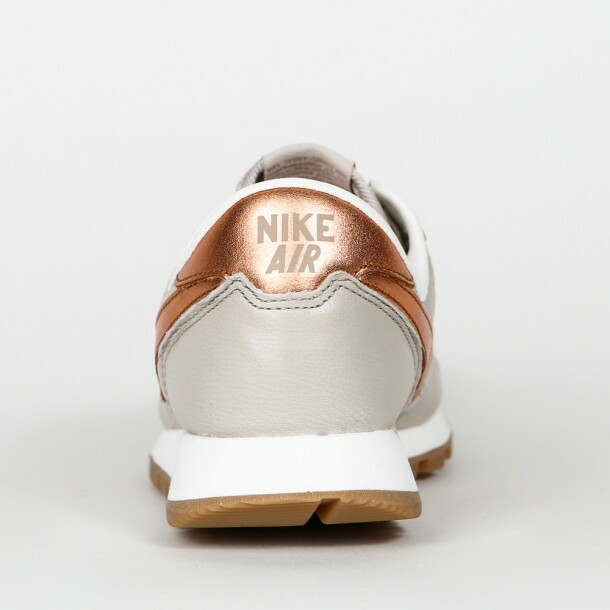 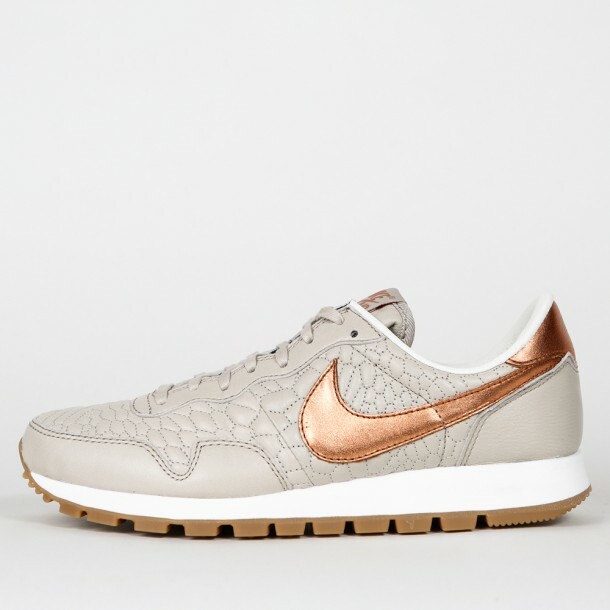 The swoosh and the heel is designed in a shiny bronze leather and represents the high quality of the premium shoe. 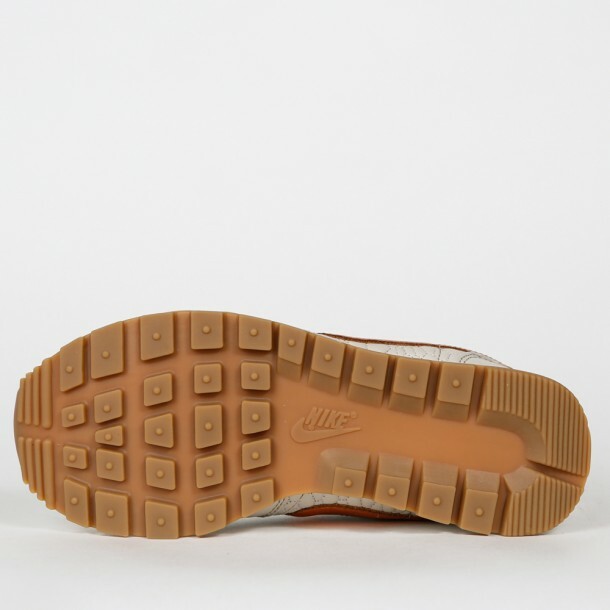 Furthermore the Air - Technology offers a better foot hold and eases your walk with every step you take.